Palma is the perfect destination all year around. And we’re not just saying it, we actually know, so trust us! And, of course, Christmas isn’t an exception. Winter in Palma is magical: Christmas lights make the city look as beautiful as it gets and even if it’s ‘super cold’ for us Majorcans (average temperature in December and January is 16 degrees), the sun never abandons us and we can enjoy long afternoons strolling through Paseo del Borne or Paseo Mallorca in the sun. If you’re in Palma these holidays you’re probably already aware of the ‘musts’: the Gallo mass, the Estandart fest and the Three Kings parade. Without a doubt, you should attend all. But at Nakar Hotel we want to give you something more, something extra, some insider tips of what you should do in Palma on Christmas. For everyone here at Nakar Hotel the first ‘must-visit’ during the holidays is the Santa Clara convent. Every year the ‘Clarisas’ (Santa Clara’s nuns) make artisan and homemade sweets and pastries for Christmas. Crespells, butter cakes, almond pastries, anise rolls, ‘coquitos’, sweet hearts and traditional pastries such as ‘lemon drops’, ‘orange blossom’, ‘vanilla blossom’ and ‘coffee moons’ beside an exquisite ‘turrón’ are for sale. These sweets -which until only a couple of years were sold through the lathe to avoid being seen- are now offered in one of the rooms of the beautiful monastery. Let’s move on. There’s simply no Christmas if there’s no hot chocolate. And if you’re in Palma there’s no other choice than enjoying a hot chocolate with ‘ensaïmada’ or ‘cuarto’ at our beloved Ca’n Joan de s’Aigo. Both in the Baró Santa María del Sepulcre premise and at the original one located in Calle Sans, Majorcan tradition and Christmas atmosphere will make you company for that delicious hot chocolate. Dear Christmas markets near Palma: we simply can’t resist to your charm! 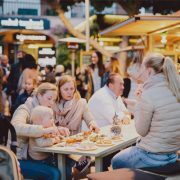 At Nakar Hotel we’re very fans of Christmas and that’s why we cannot miss two Christmas markets that take place near Palma. 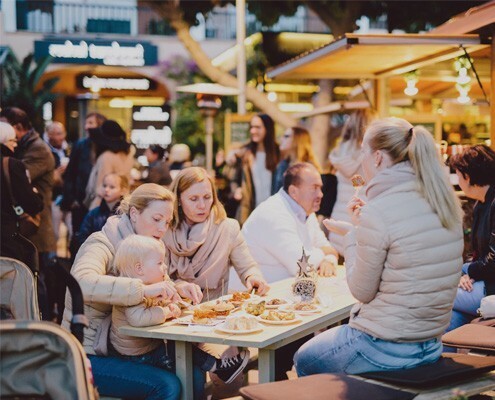 The first is the Puerto Portals Christmas market: little wooden stalls beside the sea, activities, music and all kind of food just have a captivating effect on us. 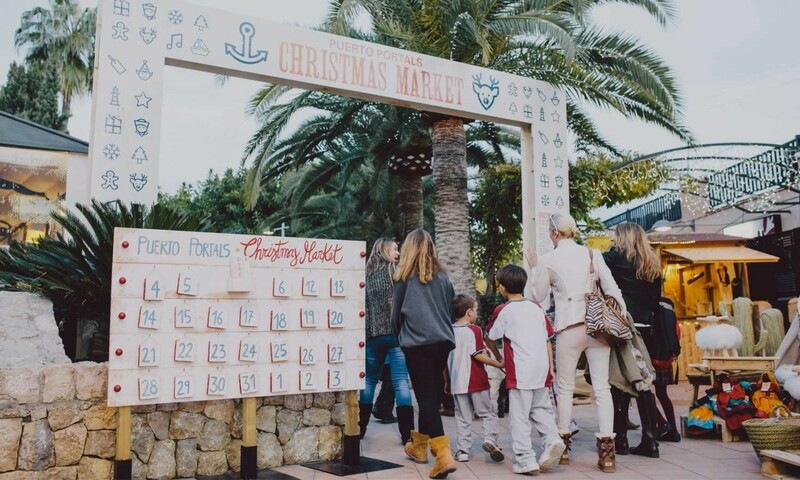 And, on the other hand, we have lots of fun with the untraditional Christmas Market in Port Adriano. Starck’s marina wins us over with their Christmas Food Festival. 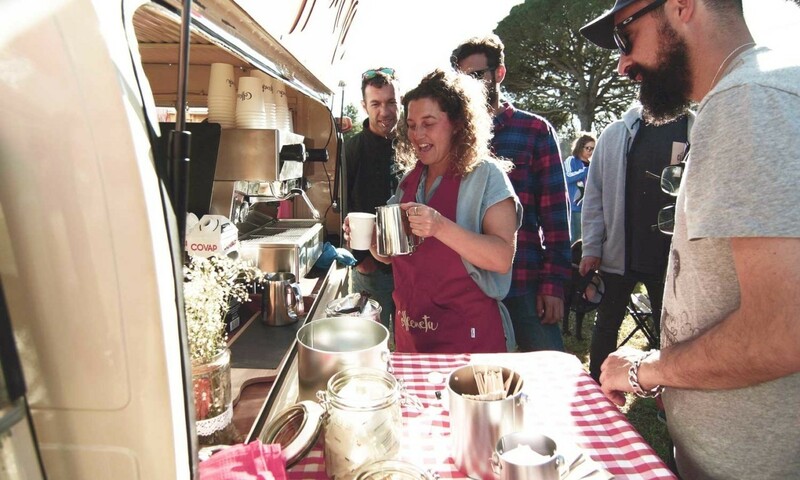 Food trucks, music and Santa Claus’s visit arrive at one of the most emblematic ports on the Mediterranean. Must visit! If you’d like more of our recommendations, please don’t ever forget that at Nakar Hotel’s front desk you’ll get all the info you need, and we are more than happy to help!